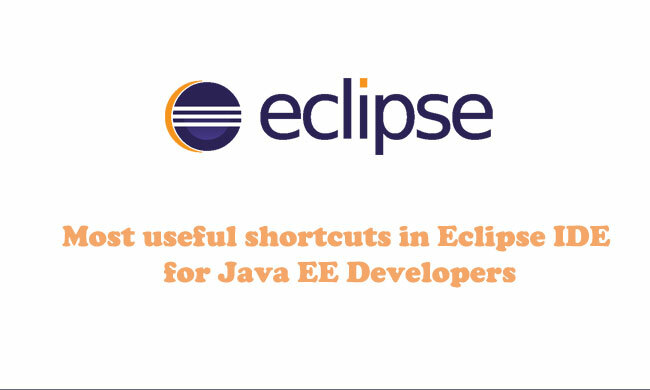 We can be more productive, when using shortcut keys frequently in Eclipse. We can perform actions much faster. 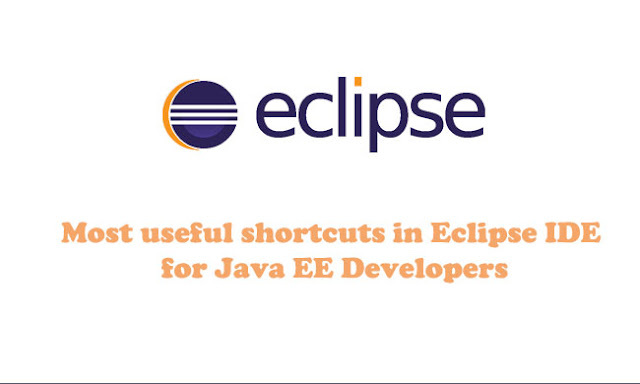 Below you will find a list of shortcut keys which are useful for Java Programmer in Eclipse IDE on Windows. Finds the next/previous occurrence of the currently selected text. Go to line. Jump to specific line number. Formats code. Uses the code formatter to format the current text selection. Find/Replace. Open a search box to search/replace text. Move the line up or down. Move to the last location we edited. Quick hierarchy. Show the subtypes hierarchy of the class. Shows a list of all open editors. Find any files in our workspace. Quick Fix. If the cursor is located at a location with problem indication this opens a context assist dialog at the current cursor to present possible corrections. Open Type In Hierarchy. Show inherited members.